La morte arriva strisciando è un film di John Gilling del 1966. DERANN - 5 rulli x 120mt. Very good condition on LPP color stock. No VS. 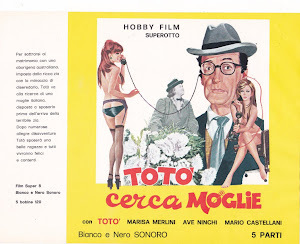 There are some mild emulsion lines in the scenes before the main titles(see pics). Complete with logo, titles, and credits. Very sharp focus defined print. Comes on 5x400' reels with original boxes. I think someone rerecorded the sound track on the first reel. They did a very good job of it too. The last 4 reels have the Derann sound recorded sound track. Magnetic sound English language. This chilling monster film metaphorically examines the horrors brought home by British colonialism. Harry and Valerie (Ray Barrett, Jennifer Daniel) inherit the Cornwall home of Harry's brother, who died under mysterious circumstances. 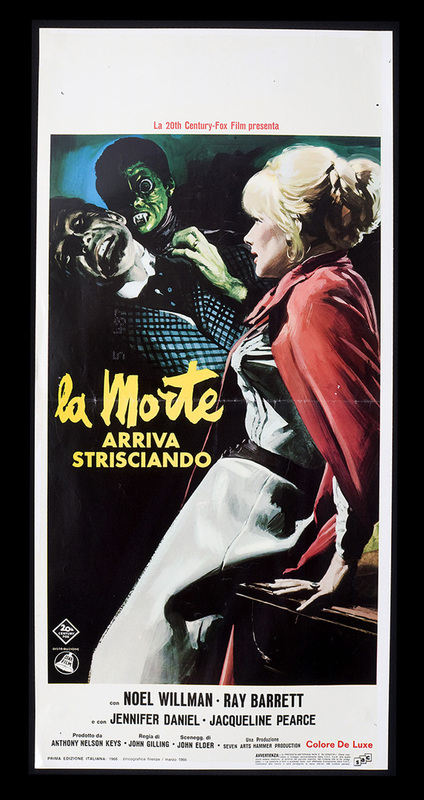 The local villagers are tight-lipped and afraid, and the couple's neighbor, the hostile Dr. Franklin (Noel Willman), hides in a large mansion with his frightened daughter Anna (Jacqueline Pearce) and a strange foreign man (Marne Maitland). The truth is that Franklin had been investigating a secret tribe of snake-people on his last trip to Borneo, and they had reacted to his intrusion by making Anna one of them. As a result, the girl turns into a hideous cobra-woman every winter, with bulging eyes, a scaly face, and large, venomous fangs. 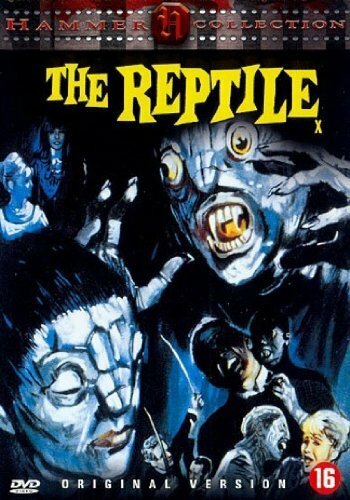 Other than the unusual monster, The Reptile may as well be a direct remake of Hammer's The Mummy, a film which this one apes in many of its contrivances. Director John Gilling does manage some effective set pieces, such as the sulfur-spring below the mansion, which keeps Anna warm as she writhes beneath a blanket to shed her skin. Underrated character-actor Michael Ripper appears in one of his more substantial roles as Tom, the local pub-owner, who goes from avoidance to digging up graves and risking his life to save the couple. There are some inconsistencies in Anthony Hinds' script, but the film is handsomely mounted and delivers its share of shocks.